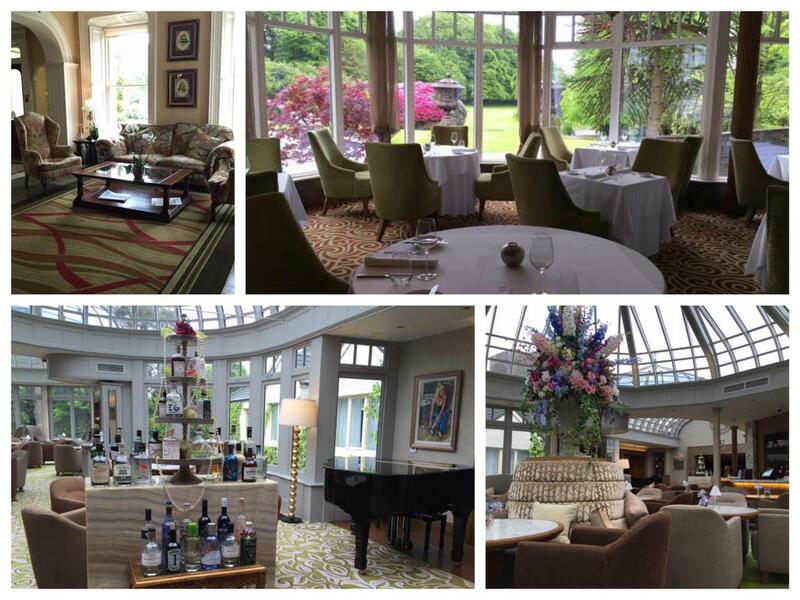 We recently spent the night at the wonderful Galgorm Resort and Spa in County Antrim to celebrate Helen’s birthday. 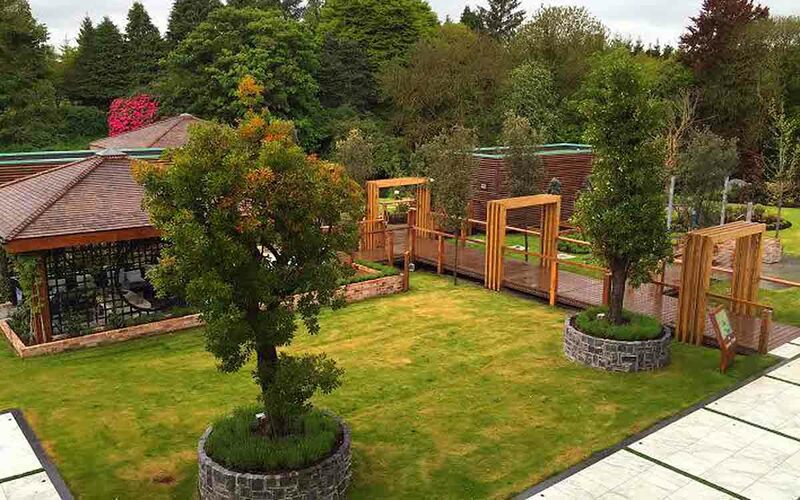 This was our second time at the Galgorm having previously stayed at a family wedding. There have been a few changes over the past 2-3 years since our last stay, with the new outdoor thermal village the most prominent. 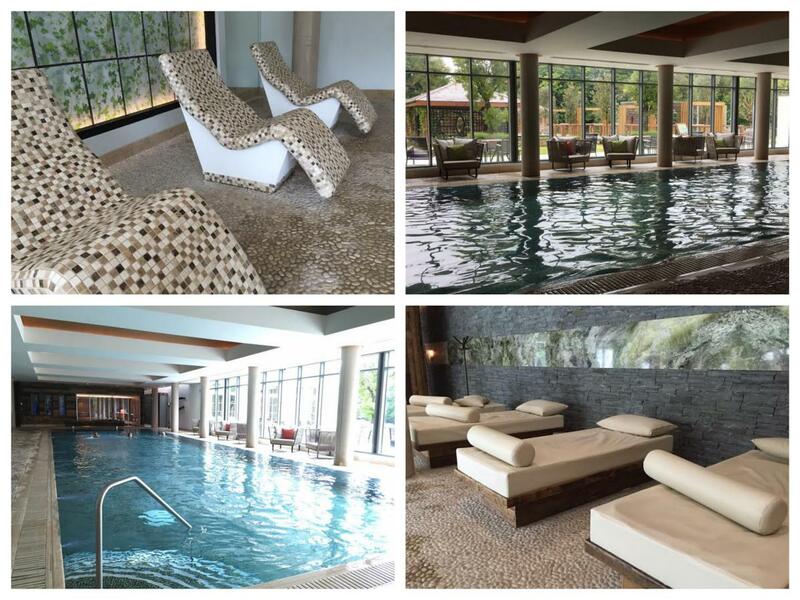 We had heard lots of good reports from friends who had been to the resort since the thermal village opened, and we couldn’t wait to spend a day lying about, relaxing and just taking it easy. While the Galgorm is a bit of a jaunt from our home in Newcastle (about 90 minutes), it’s only 35-40 minutes from Belfast, and as we went straight from work in Belfast, it didn’t feel as long a trip which is always good. We arrived at the hotel at around 5pm, so we got checked into our room before making our way down to the bar and River Room, where we had an evening meal booked. 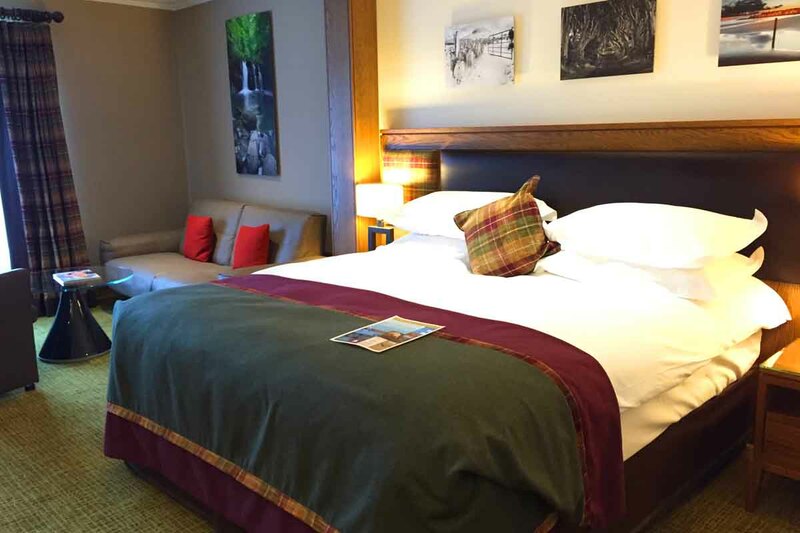 Read on to find out a little more about our stay, what The Galgorm Hotel & Spa has to offer, and watch our short video of our trip at the end (it’s only a minute long and will give you a nice flavour for what’s on offer). We stayed in the deluxe room for the night and it was a great room with ample space and a selection of free refreshments including beer, coffee, soft drinks and crisps. The room had spacious living quarters and a great view of the Thermal Village, giving us our first glimpse of what lay ahead. As we were later checking in than we would have liked (entirely our own fault), we quickly got washed and made our way down to the River Room, where we were booked in for dinner. Below are just a few snaps of the amazing room, complete with King Size bed, which was so compfy (the bed in a hotel room is so important in our eyes as you want somewhere you know you can fall back into, relax and quickly make your way to the land of zzz’s). We arrived at The River Room with high expectations as the restaurant is one of only four in Northern Ireland to be awarded 3 AA Rosettes thanks to the hard work of head chef Jonnie Boyd. Upon arrival we were warmly greeted by the dining team, who seated us in the adjacent Champagne and Gin Bar to give us time to look at the menu and decide what we wanted to order. 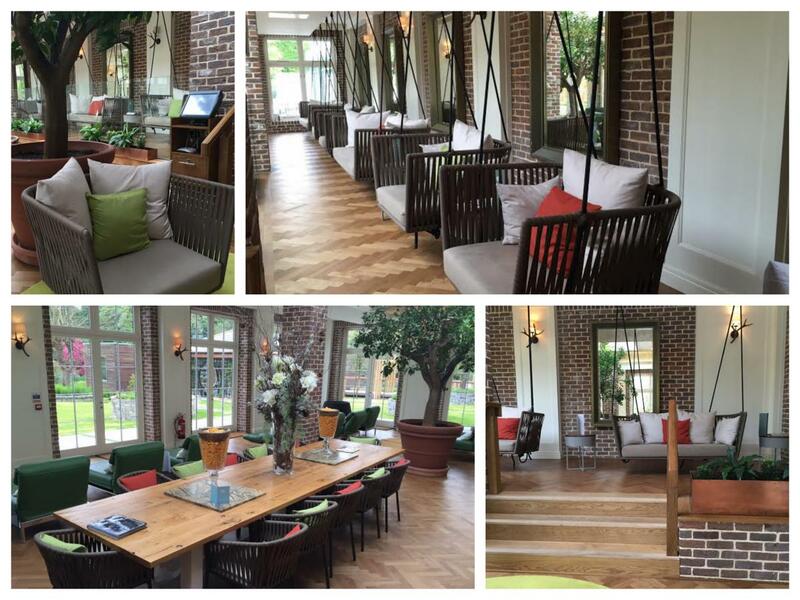 The bar has amazing views of the surrounding gardens and river, and one of the finest selections of gin and cocktails we have ever seen. Indeed, the bar has over 300 varities of Gin ranging from some of Ireland’s finest (like Shortcross, Dingle and Voya Seaweed), to internationally renowned specialist gins like Spring Gin from Belgium and Ferdinand’s Sar from Germany. We ordered a few cocktails from the menu before taking our seats in the menu to enjoy what turned out to be an absolutely amazing night of food. To start, we were brought a selection of canapes which included a blue cheese fritter with beetroot jam and smoked eel, cucumber and dill on melba toast. A little bit different to the canapes we usually rustle up in the kitchen but these certainly hit the spot and had us salivating at the thought of what lay in store for us. 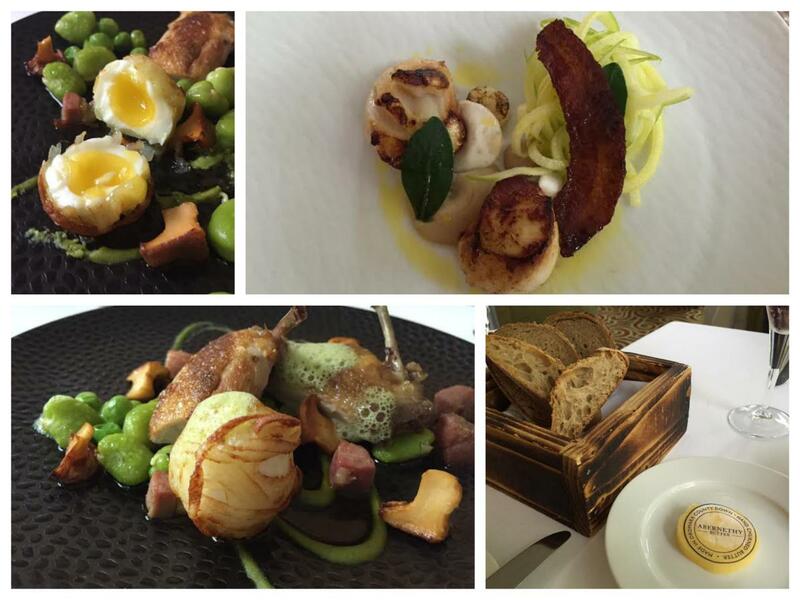 Next up was our starters and we went for the seared scallops which was served with hay baked celeriac, apple, guanciale and fennel pollen, and the second starter was roast quail breast with potato wrapped quails egg, broad beans, bacon and girolles. Both starters were cooked to absolute perfection and it was the first time either of us had tried quail – we weren’t disappointed. The starters had followed on from the canapes and left us more than impressed. The starters were accompanied by a selection of homemade breads and the fantastic Abernethy Butter. Next up was the main event of our dining experience, the main course. The dishes we went for were the lamb and beef dishes. 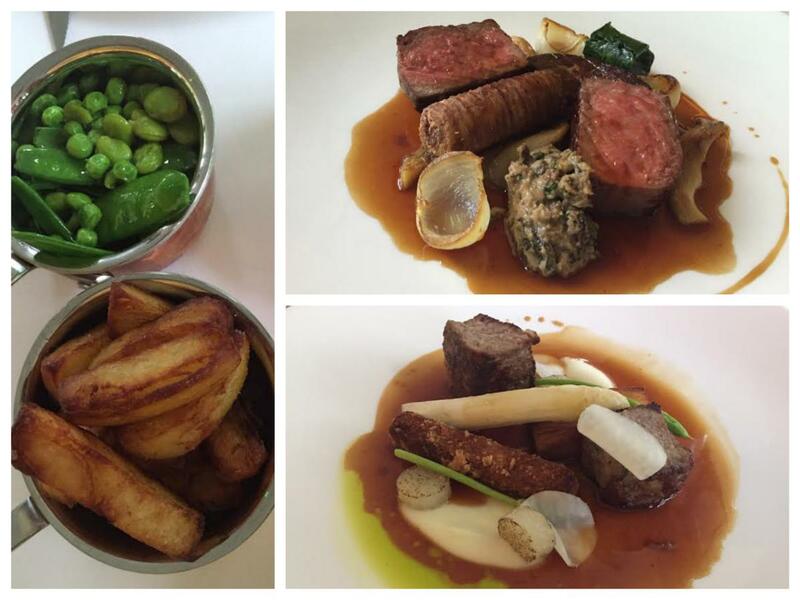 The lamb was cooked to perfection (not that we were expecting anything less) and served with a lamb meat fritter, kohlrabi, asparagus and wild garlic while the beef sirloins were served with a beef fritter, foie gras, spinach, onion and truffle. 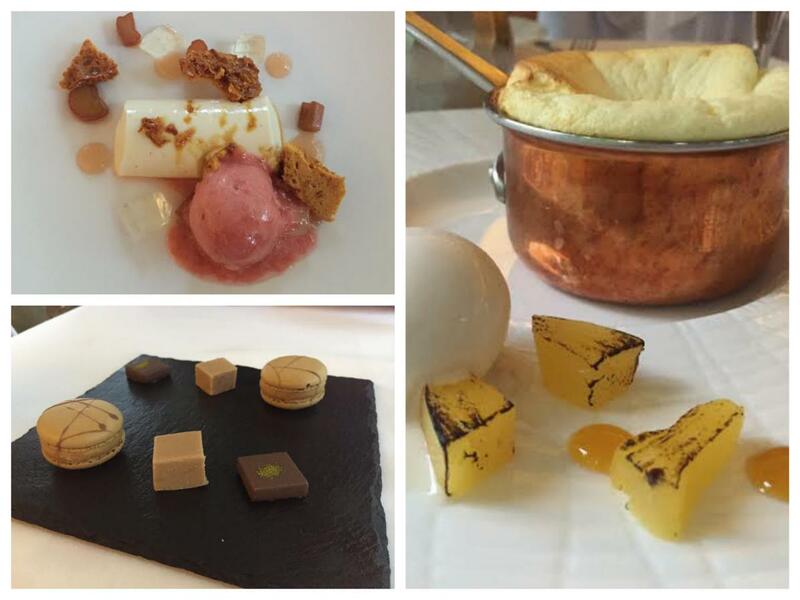 This really was fine dining at its best and a truly memorable dining experience (our best in 2016 to date). Both dishes were served with a jus that perfectly complemented them, while the meat fritters are something we could have easily polished off a whole bowl of, they were that good. 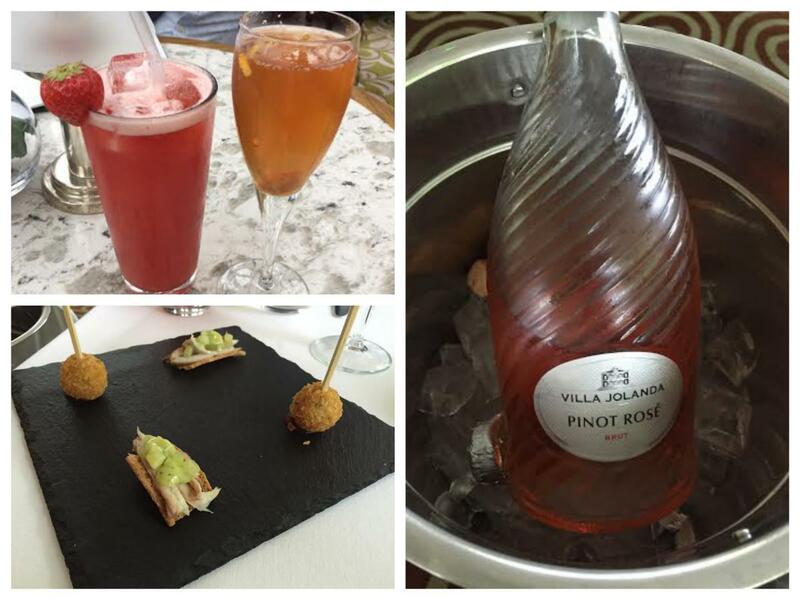 Certainly something we’ll be looking to replicate at our next dinner party – we tip our hats to you Jonnie. Final course of the evening was the dessert course, and we do love our desserts here at Pikalily. There was a nice selection of desserts and in the end we opted for the buttermilk panacotta with honeycomb and a passion fruit soufflé with coconut ice cream. Both dishes offered different textured and flavour combinations on the tongue, making it the perfect way to finish our meal. We did get a selection of petit fours when we finished and this was just the cherry on top of the icing on what had been a truly memorable evening of food. We do enjoy getting out and trying various restaurants across Northern Ireland, but this meal was right up there with the very best we’ve ever had, and is reason enough to get along to The Galgorm. Following our meal, we retreated to the Champagne & Gin Bar to enjoy a few drinks before calling it a night as we had a busy day ahead of us (we planned to explore the north coast and spend some time relaxing in the Thermal Village). After what had been a great night sleep, we got up early and made our way back to The River Room where we enjoyed breakfast. 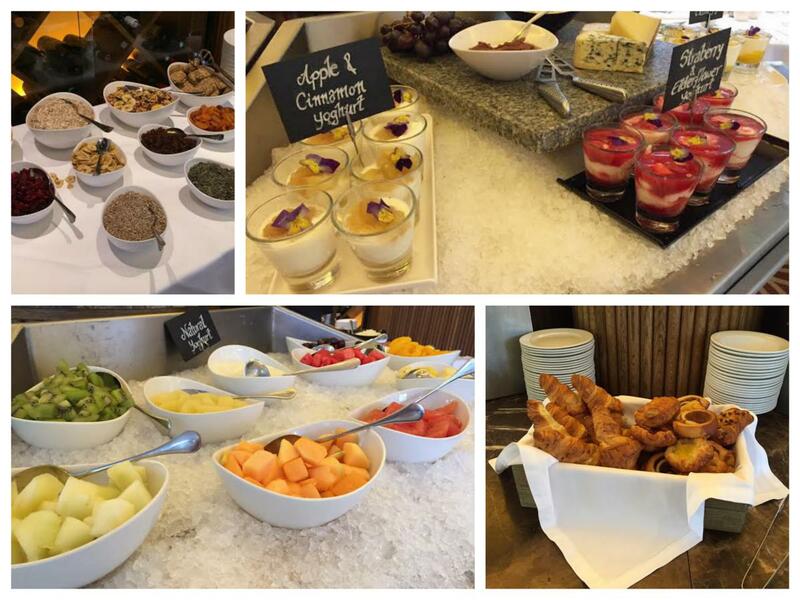 The first thing that hit us as we walked into the room was the array of food on offer in the continental buffet. From freshly prepared fruit and yoghurts, to cereals, pastries and cold meats, this was as good a spread of food as we’ve seen at breakfast in quite a long time. In fact, Acton’s of Kinsale is the only hotel we’ve been to in recent times that would compare well here. 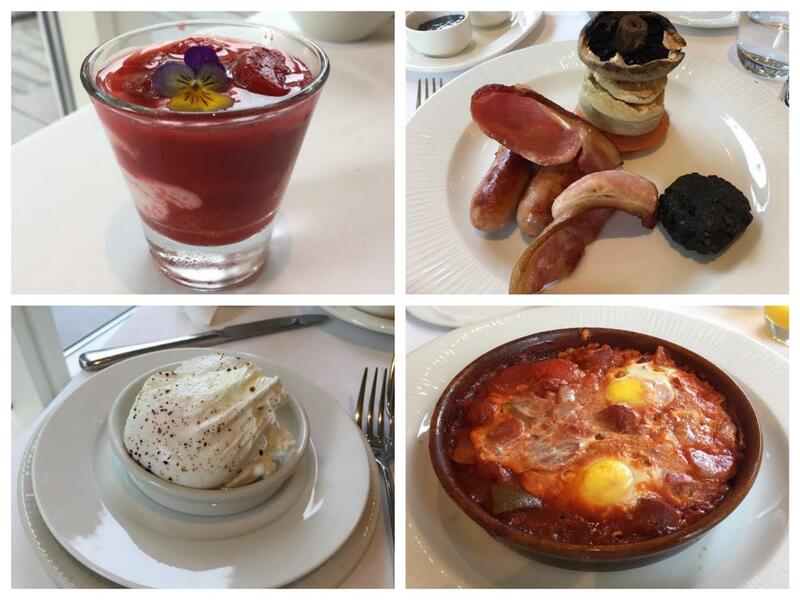 As well as the buffet breakfast there was a cooked option, so we ordered the River Room Grilled Breakfast (a well presented Ulster Fry), and the Mediterranean Baked Eggs, which was Spanish sausage and eggs baked in a tomato and pepper sauce. A great way to start the day and this set us up perfectly for some R&R at The Thermal Village. We made our way down from our room to The Thermal Village and were instantly blown away by what stood in front of us. The facilities are second to none. We have been to a few spa hotels (including The Slieve Donard Hotel & Spa on our doorstep here in Newcastle), but nothing compares to The Thermal Village at The Galgorm. With indoor swimming pools and an Orangery to get you started, The Thermal Village has everything you could possibly need to have a relaxing break. If you want to de-stress and forget about all your troubles, this is the place to visit. With a range of outdoor facilities including outdoor pools, hot tubs and Beltane hot tubs, along with saunas, a snow cabin and a sanarium, this really is a slice of luxury, only a car journey away. There are also a number of private areas with private hot tubs, and rooms for enjoying yoga and other activities, meaning The Thermal Village really does tick all of the boxes. The Spa itself offers a range of treatments although we didn’t have time to squeeze in a treatment as it was almost time to check out and make our way north towards the north coast, where we had a day of exploring ahead of us. After a few hours in The Thermal Village we were ready to check out and be on our way, although we could very easily have lay about for the day. Even in what was a rather overcast day, The Thermal Village transports you to a totally different place, allowing you to really relax and unwind – the real purpose of a spa in our eyes. We fully appreciate the value and appeal of spa hotels now, and are already looking at options for our next spa break in Ireland. We finally managed to drag ourselves away from The Thermal Village and check out, and decided to spend some time exploring the surrounding gardens before heading further north. 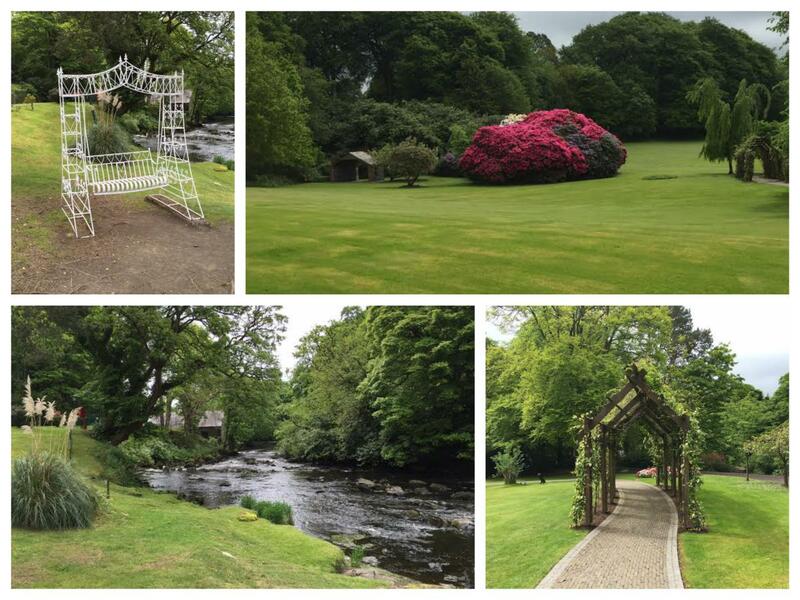 There are a number of walks to keep visitors occupied at The Galgorm, while the surrounding gardens can really help take your mind away from everything as you just get lost in the here and now. 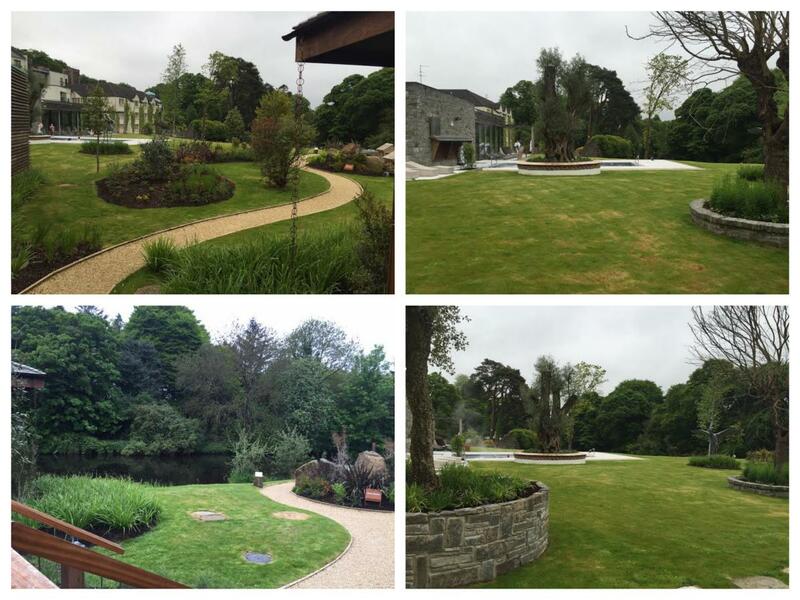 The gardens just add to the whole experience and reinforce what The Galgorm is all about; a truly luxurious and relaxing hotel break. The Galgorm Hotel, we salute you. We had a great time away and can’t wait to get back. Here’s a quick video showcasing our trip to the Galgorm. Have you visited the Galgorm or the Thermal Village recently? We’d love to know what you thought of it. Share your thoughts with us below or connect with us on Facebook, Twitter and Instagram. You can also keep up to date with all of our latest travels by subscribing to our YouTube Channel. 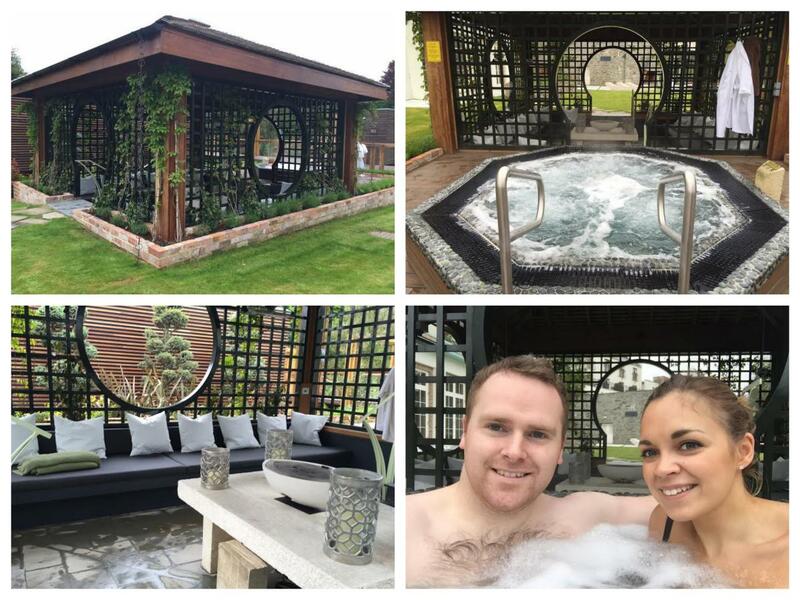 We were invited along to experience the Galgorm Hotel and Spa although all thoughts and opinions shared in this article are entirely our own.